Becoming a professional dancer is a dream for so many young women. However, only a handful make it in the competitive world of contemporary dance. Auckland-based Lucy Lynch is one of the chosen few but she is the first to admit a career in dance is a vocation - one that requires discipline, sacrifice and lots of hard work. Editor Trudi Brewer caught up with the stunning influencer in-between her gruelling rehearsal schedule with The New Zealand Dance Company to talk about what else - beauty. 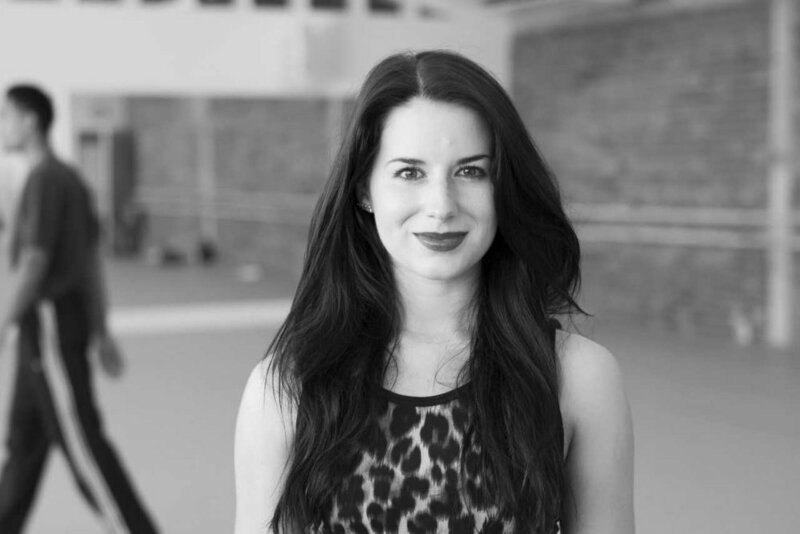 Lucy Lynch never imagined she would be on stage with the The New Zealand Dance Company. "I was always that kid at dance competitions that wasn't that good and would always get commended and a report that said 'nice try' or 'you have a great smile'. I guess I didn't want to settle with just being a 'commended' performer, so I put in lots of work, however I never thought it would pay of, " says Lynch. However years of dedication and commitment has paid off, Lynch was one of eight professional dancers appointed back in 2013 to the The New Zealand Dance Company and since then has danced in three national and three international tours. She takes the stage in the up and coming production Kiss the Sky presented to coincide with the Matariki (Māori New Year) Festival later this month and it's fair to say Lynch is one of the companies rising stars. Here's her slice of her beautiful life. Do you apply your makeup, how long does it take to perfect? Yes. I put aside 30 to 45 minutes to do my makeup before a performance. I like to take my time and not feel stressed before a show. I have two foundations that I alternate. On weekdays in the studio for a light natural look I will use Makeup Forever HD Foundation. For performances, I use Estée Lauder Double Wear. It's completely sweat proof and manages to still look fresh after the show. I'm also obsessed with Becca Backlight Primer at the moment it gives my skin an amazing glow. What about breakouts, how to deal with them? I've worn makeup for a long time. I started wearing it when I was 13, so I think my skin is used to it now. At one point during my teens, I had terrible acne, and I feel like I tried everything to try and calm it. I ended up eliminating sugar from my diet; it seemed to trigger it. I use natural cleansers, and moisturisers and witch hazel is still my go-to toner for keeping my skin clear. Do you have skin treatments, if so what are they? I use a face mask at home, but that's about as glamorous as it gets. I travel to Bali quite often, so I always take advantage of the cheap facials and body scrubs on offer while I'm there. Lynch on stage in preforming with The New Zealand Dance Company, 'In Transit' from Lumina and in Rotunda. Photography: John McDermott. What beauty advice have you picked up from other dancers during your career? Coconut oil is magical for taking off makeup, especially when you're wearing extra layers of foundation for on stage. Also, if you're struggling with how to create a winged eyeliner, Maybelline New York Master Precise Liner - is a life saver. Other than dance, what are you passionate about? Travel writing, healthy eating, yoga and fitness. With all the travel associated with your role, what's the greatest challenge being away from home? Being away from my partner (jeweller Nick Von K) is always difficult. I miss him and wish he was with me. I'm also an insomniac when I'm away from home, so I don't get much sleep on tour, which is a struggle. However the highlight is travelling overseas and performing in beautiful theatres around the world. As dancers we are all close friends, so going overseas together is such a dream. If you weren’t a dancer what career path might you have chosen? Something creative and challenging. I’ve always been into writing, and I write a travel blog about all my crazy overseas adventures.